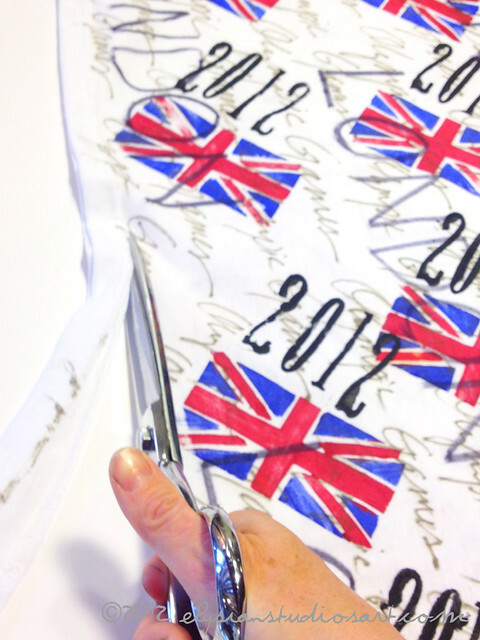 Want a fashionable way to show off your 2012 Olympic Spirit? 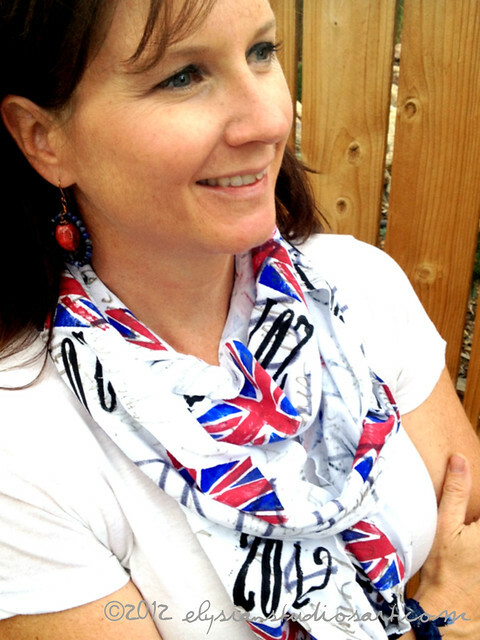 Use your Handmade Union Jack Flag Stamp to make this easy jersey wrap scarf, and rock some style while cheering for the athletes! 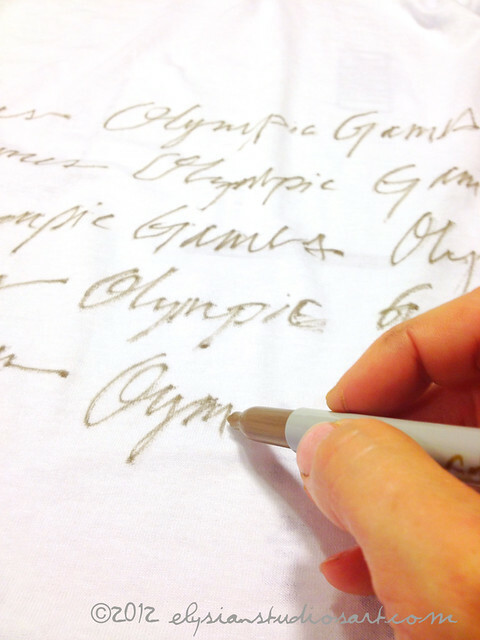 Begin creating the first layer of the pattern by writing "Olympic Games" repeatedly with the gold permanent marker on both sides of the t-shirt. You only need to continue the pattern from the bottom hem of the tee to where the sleeves begin (bottom of the armpit seam). 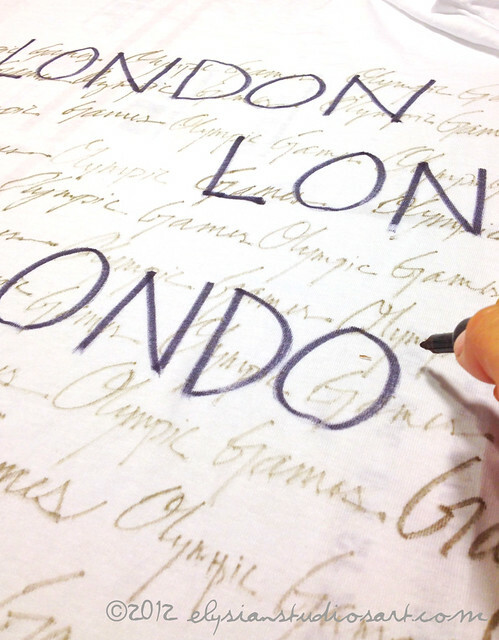 For the second layer, write "LONDON" in bold lettering, and evenly space it out across both sides of the tee. 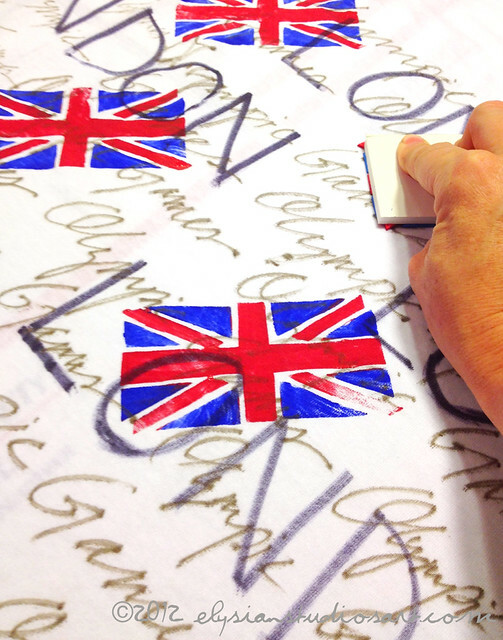 For the third layer, load your Union Jack Stamp with paint (as shown in the DIY Olympic T-Shirts Tutorial), and stamp at an angle repeatedly across the surface. You will have to wait for the first side to dry before flipping the tee over to stamp the second side. 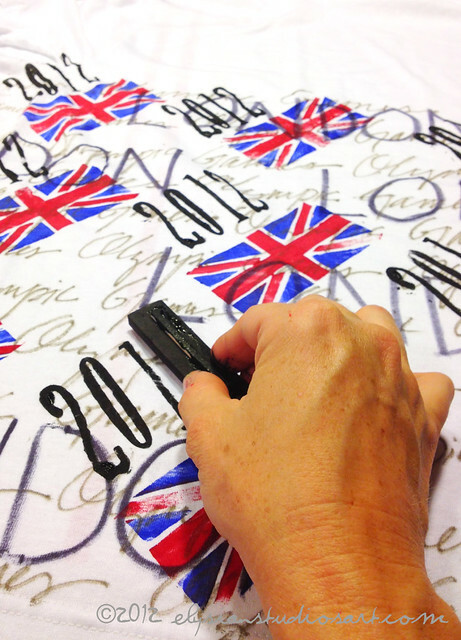 For the fourth, and final layer, paint your foam number stamps with black acrylic paint and stamp "2012" at a diagonal across the fabric. I lined mine up with the top of the flag. Again, wait for the first side to dry before flipping the shirt over to stamp the second side. 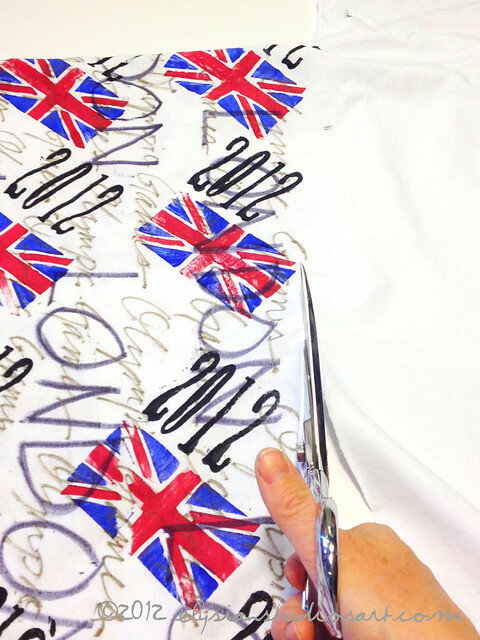 Using sharp fabric scissors, cut the T-shirt at the top of your pattern, directly below the sleeve seams. Cut through both layers of jersey, and all the way across the T-shirt. 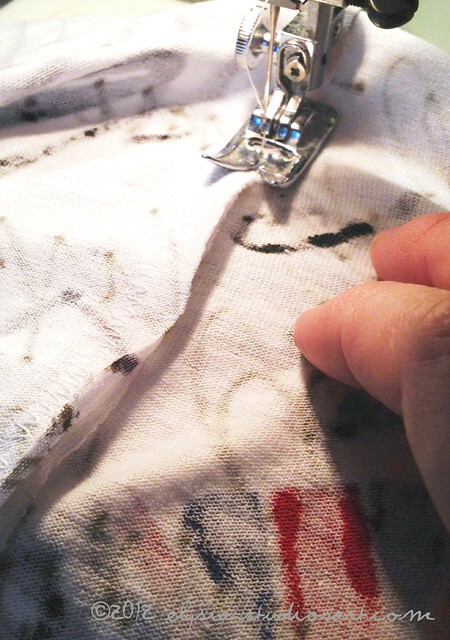 Cut and completely remove the bottom hem of the T-shirt. You will now have two "tubes" of the jersey fabric. These need to be opened up into two long rectangles. 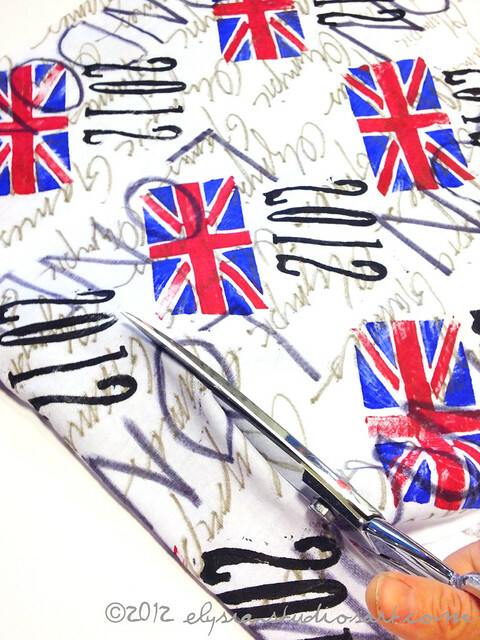 Insert your scissors between the two layers of jersey, and cut straight across the short side of the fabric tubes. You should now have four long rectangles of the printed jersey. Line up two rectangles, right sides together, and pin. Repeat for the other pair. 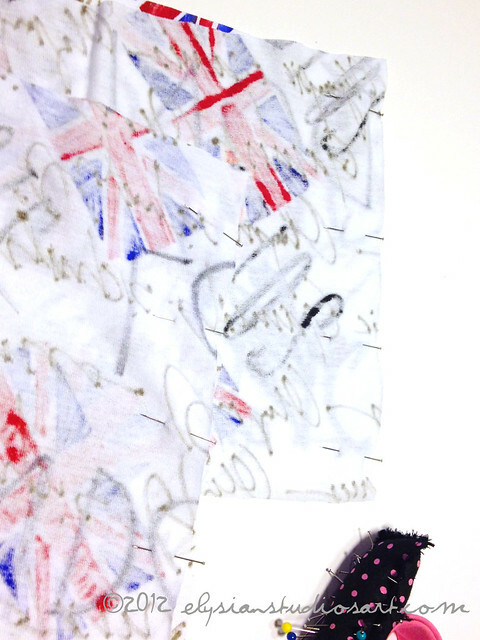 Prepare your sewing machine with the white thread. 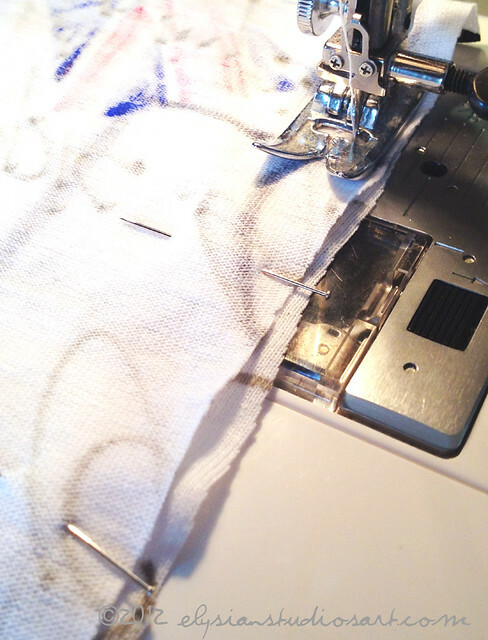 Using the Zig-Zag stitch, sew the jersey rectangles together, with about a 1/4 inch seam allowance. 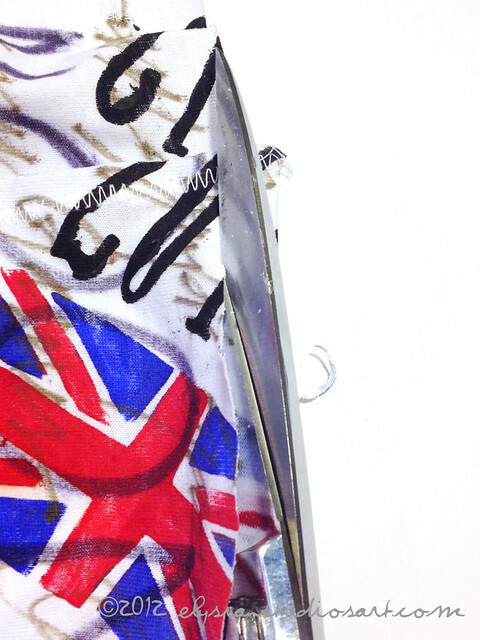 Fold the seam over to one side, and stitch down using the Zig-Zag stitch. This will create a flat, sturdy seam. Now you will have two very long rectangles. These need to be lined up, right sides facing together, pinned at the seams, and sewn together just as you sewed the other pieces. 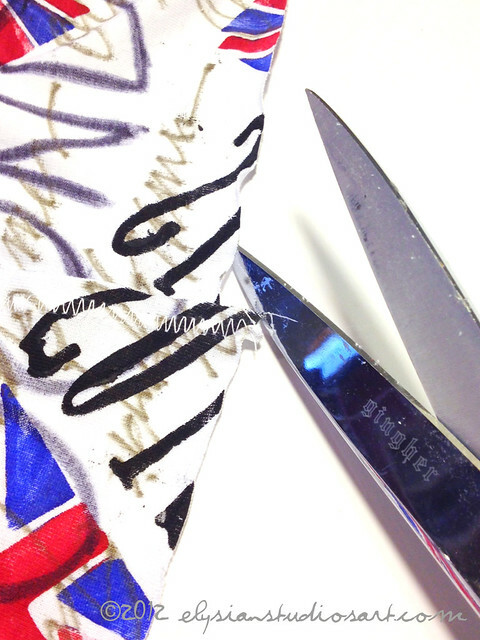 If there are uneven edges at the seams, simply trim them with scissors to create a neat edge for the scarf. To wear it, simply place the scarf over your head and then loop several times until it is layered nicely around your neck. 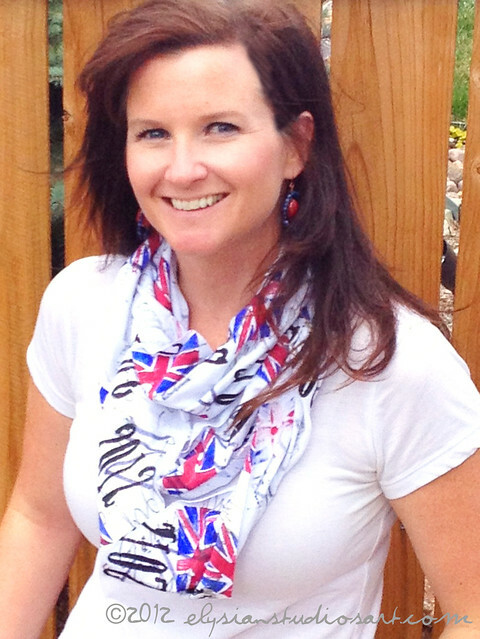 Accessorize with some bold earrings and a chunky bracelet (I am modeling pieces from my "Urban Prairie" Collection), and you are set! 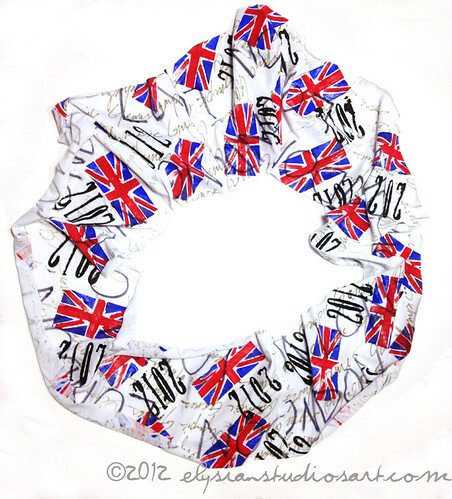 This scarf will be a great addition to your wardrobe for years to come, commemorating the 2012 Summer Olympic Games in London! 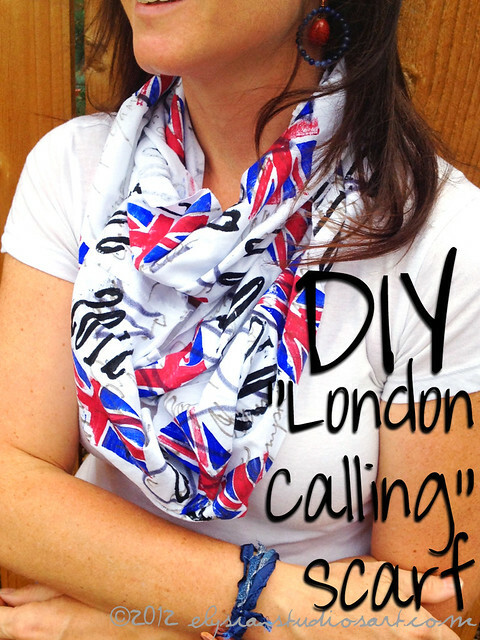 Want more fun DIY ideas to celebrate the Olympics? and stay tuned for a few more! Thank you so much, Sondra, I am glad you enjoyed it!